After attending the University of Illinois for Undergraduate school Phil attended Northern Illinois University School of Law. He was a prosecutor for the McLean County State’s Attorney’s office before leaving the office to practice with his father Jim Finegan. 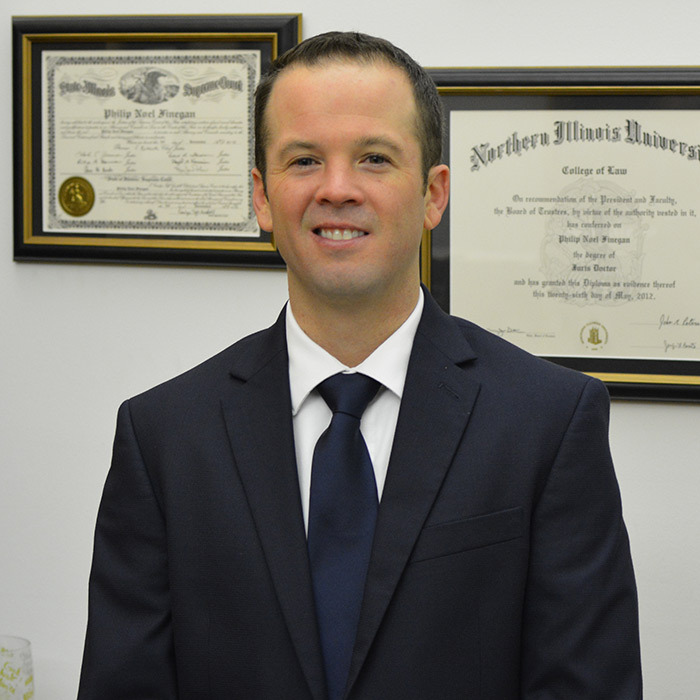 He is specializing in criminal defense work, expungements, orders of protection, felony cases, drug cases and DUIs/DWIs and other traffic cases in the Bloomington, Illinois area and will use his background as a prosecutor to help you defend your case. Call and schedule a free consultation to discuss your criminal law case.